Note: This plugin is a part of the OctoPack Battler plugin set. Please keep in mind if you purchase this plugin, it will not deduct the price from the OctoPack Battler Sample Project if you wish to buy it later. 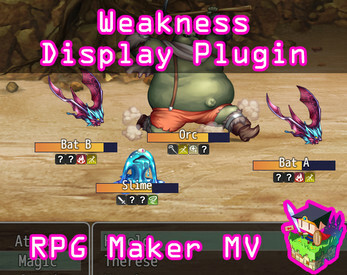 This is a RPG Maker MV plugin that creates a display in battle to show an enemy's elemental weaknesses. These weaknesses will start off hidden and will be slowly revealed whenever they receive elemental damage of the correct type. Choose to display the enemy's HP status, too. There are many plugin parameters to modify. But the most import ones to modify are the "Element Data" plugin parameters. These plugin parameters let you choose which elements will be shown in your game. Shown Elements: This is a list of all the element ID's that are displayed on the list. Leave out the ones you don't want displayed. Element Icons: Icon ID's used for the "Shown Elements" plugin parameter. They will match the icons shown in the list above based on order. Unknown Weakness Icon: Icon ID used for an unrevealed element. If a weakness hasn't been revealed yet, this icon will appear. Always Show? : Always show the weakness display? Otherwise, it is hidden until enemy is selected or attacked and then fades away like shown above. Hide After Duration: If the Weakness Display isn't always shown, hide after this many frames of it being visible. Show HP Gauge? : Show the HP gauge for the enemy by default? Show Name? : Show the name of the enemy? 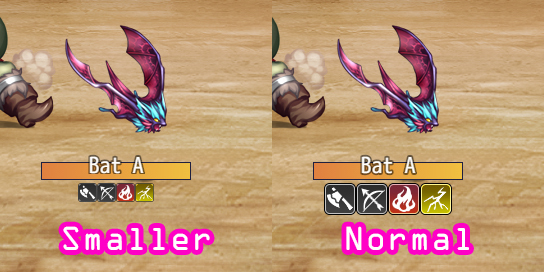 50% HP Color: Text color ID of the name when the enemy is at 50% HP or less. 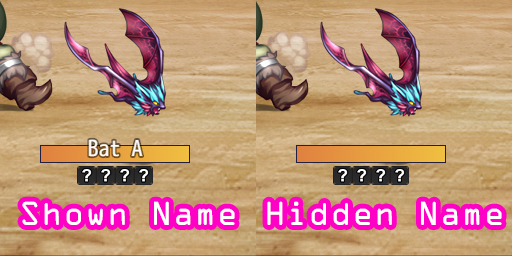 25% HP Color: Text color ID of the name when the enemy is at 25% HP or less. Show States? Show states in the weakness display instead of on top of the enemy sprite. This makes it easier to keep track of all enemy information in one place instead. Small Weakness Icons: Draw smaller icons? Weak Icon Size: Rate of how much to shrink the weakness icons. This will reveal x weaknesses that the player has not currently revealed yet from the target enemy. This will show the enemy's HP gauge by default and ignore the plugin parameter's default settings. This will hide the enemy's HP gauge by default and ignore the plugin parameter's default settings. Replace x with the number of weaknesses that are to be revealed for all* enemies in the battle. Replace x with the variable ID. The x value determines how many weaknesses are revealed for all enemies in the battle. 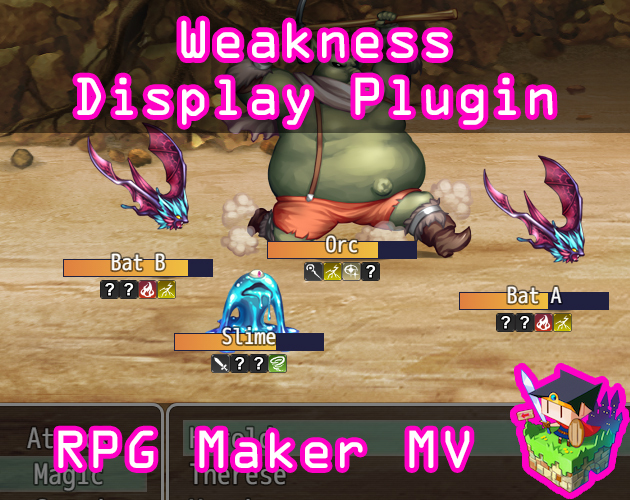 This plugin is made for RPG Maker MV versions 1.6.1 and below. If you update RPG Maker MV past that and this plugin breaks, I am NOT responsible for it. Place this plugin under those in the Plugin Manager list. These plugins may be used in free or commercial games. 'Fallen Angel Olivia' must be given credit in your games. You are allowed to edit the code. 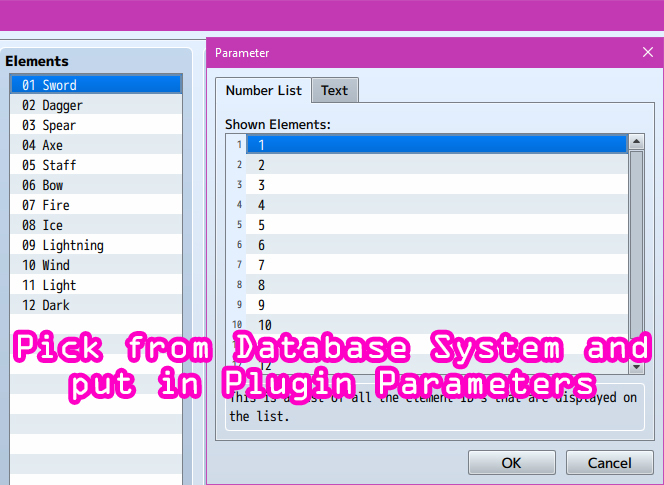 Do NOT change the filename, parameters, and information of the plugin. You are NOT allowed to redistribute these Plugins. You may NOT take code for your own released Plugins. Apr 16 2019: If using Battle Engine Core and a battler opacity reaches 0, the weakness display will also fade. Aug 29 2018: Fixed bug where weakness display doesn't after enemy dies. Sep 9 2018: Updated for the new Boost addition values and two new Script Calls. Also added new parameter: Show States? Sep 26 2018: Hidden enemies at battle start will have the weakness display hidden instead of fading out. Support this tool at or above a special price point to receive something exclusive. I will be switching this plugin to be a paid plugin for various reasons. To give some users that wanted this plugin but did not acquire it for free during the time it was available as such, I will be allowing the first 20 people to download this plugin to acquire it freely.